Butter + Coconut Butter + Coffee = Super Powers! 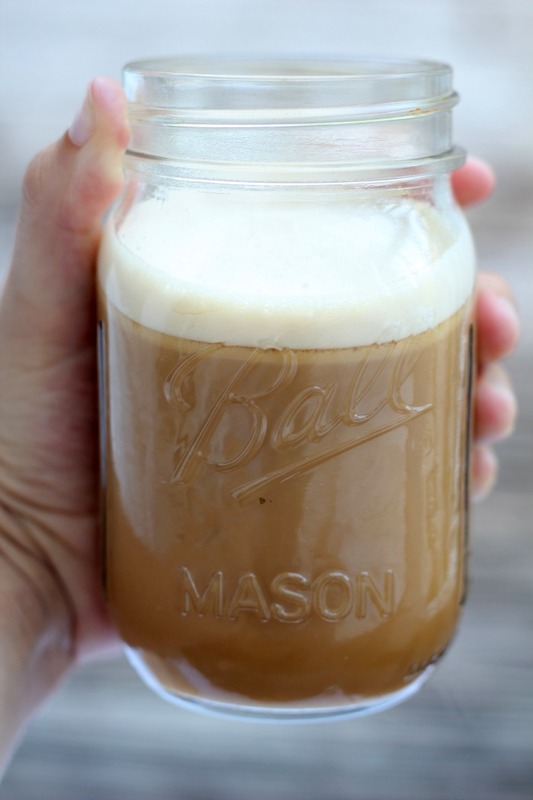 Red Bull doesn’t give you wings… Bulletproof Coffee does! The premise of this Bulletproof Coffee is to get a good dose of healthy fats from unsalted butter from grass-fed cows and then also from the added MCT oil. Starting the day with healthy fats provides energy, is good for cognitive function, and supports your hormonal system. However, if you’re trying to cut calories or saturated fat, be aware that bulletproof coffee may replace a portion of your breakfast, as it’s approximately 200-300 calories. It is filling, and a great accompaniment to your pre-workout morning routine, or pre-work morning snack. 1. Boil 1 cup filtered water. 2. Use the water to brew strong black coffee from 2 1/2 heaping Tbsp of freshly ground coffee beans. 3. Add 1 tsp MCT oil (you can work up to 1 to 2 Tbsp over several days). 4. Add 1 Tbsp grass-fed unsalted butter or ghee (you can work up to 2 or more Tbsp over several days). 5. Mix in a blender for at least 20 seconds, until it’s creamy and no oil sits on the surface.